The person who invented wheel gets appreciation but the one that invented three wheels receives all the blessings in the world by those losing control of bodily functions or dealing with limited mobility. For people like Bunty Singh, the traumatic ailment of losing sensation in feet can lead to severe depression and extreme sense of grief. 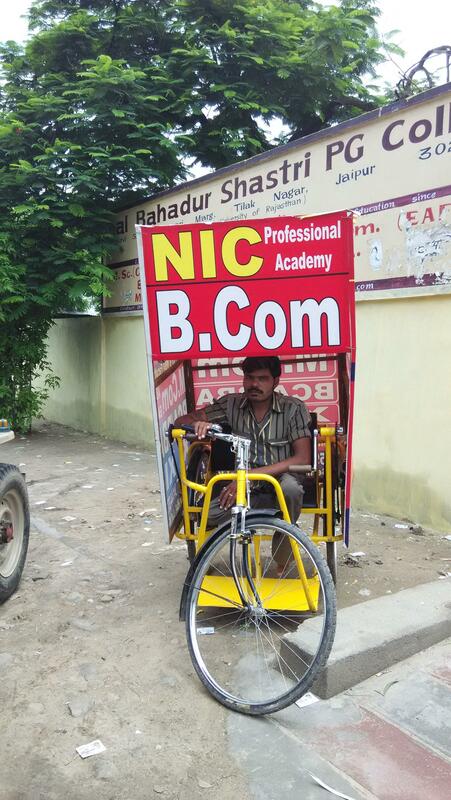 But today this disabled lad from Uttar Pradesh’s Moradabad district armed with a tricycle is earning a livelihood with dignity. 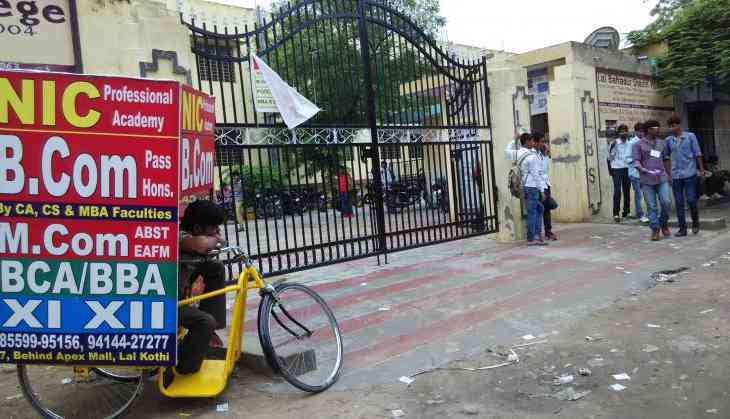 He got his tricycle by an NGO in Jaipur. He along with others from the state is hired on informal contract for a period of six months by private coaching institutes in city’s Lal Kothi area. Every morning he gets instruction to park his tricycle boasting. As this innovative method of advertising doesn’t burn a hole in coaching owners’ pockets, the number of such mobile advertisements. “This is the cheapest mode of business exposure we can get. Plus it is lively. We can change the location of our advertisement in real time with just a phone call,” says an ecstatic owner of a coaching centre. “Disabled from various states across India come to Jaipur to get tricycle and then get such employment opportunities or turn their tricycles into shops,” says Raju while hurriedly making circles with his hand pedal. We let him go as he needed to reach the destination built by both his fate and good virtues of a selected few in the society.